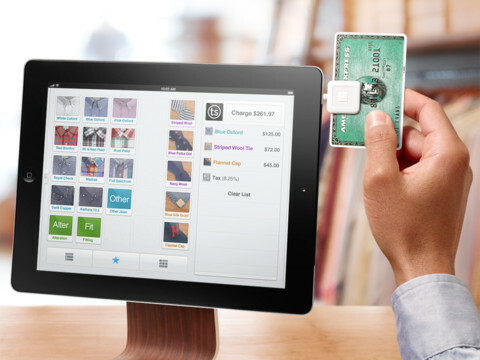 I have written about the square card reader before which is the easiest way for you to begin swiping cards at your next parent meeting or fundraiser, but they have taken it to a whole new level with Square Register. Designed to operate as a cash register for a business, Register transforms the iPad into just that, but better! After you download the app, you input your items (think summer trip costs or fundraiser items) choosing or taking a picture that represents them. Then, you decide where you want those images to appear, and you are ready to rock and roll. Pass the iPad to the volunteer and they simply touch the items someone needs to pay for, swipe the card, let the buyer sign on the iPad and the program texts or emails a receipt! Incredible, I know. AND square’s fee is simple. The app is free, the card reader is free, and they take a simple 2.75% off the top of each transaction and direct deposit it at the end of each day. Yeah. You probably have already left to download the app, but if you haven’t… go get it! This sounds great, but I have some questions. 1) What’s the money trail? How does it get from the credit card to your church’s account? What records do you (as the one taking payments) get from the app or from Square? 2) How do you handle registration information? What do you do about multiple-kid families, especially if they are only paying for one coming on a particular trip? 3) Do you use it for multiple events? Does that make the paperwork that much more difficult? Love it! I have the Square App, but this is a whole new level! I’ve seen this tool online and in stores but never in use. Have you used it? If so, how many people were hesitant to let you scan their card with a phone/tablet? How many turned you down due to the phone/tablet?